For those interested in very small focus steps -- fractions of a micron -- I offer the following use of StackShot and Zerene Stacker. First, some data. This is a sequence of 132 moves, the largest of which measures a bit under 0.14 microns (average 0.0625 microns). The largest move is approximately 1/4 the wavelength of green light, and is over 3 times smaller than the rated DOF of Nikon's most demanding objective (100X NA 1.40). I'm guessing this would meet most people's needs for stacking. How was this magic accomplished? 2) determining how fine of a movement has been made. In the following picture, task 1 happens on the left and task 2 on the right. 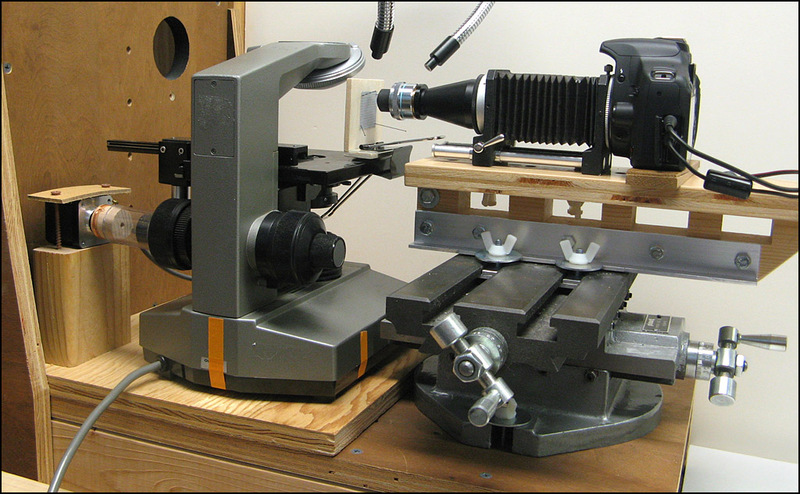 On the left, stage movements are made using a stepper motor driving the fine focus knob of a microscope as described HERE, while the stepper motor is driven by the updated StackShot controller. On the right, movements are captured with a 40X photomacrography setup, and the resulting images are analyzed by Zerene Stacker using its Align All Images function. Below is a closer view of what the 40X photomacrography setup is watching, followed by what it sees. 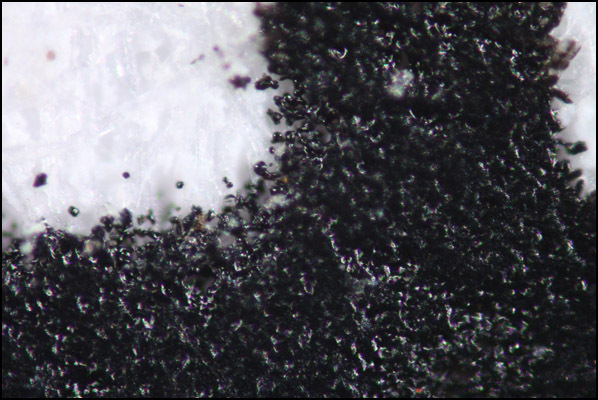 The target is just a piece of laser-printed paper, on which fine detail is provided by grain of the paper and edges of the small toner particles. The final step of this operation is to reach into the Zerene Stacker console log or saved project file to retrieve the y-offset value for each image from the registration parameters. Those are in fractions of frame size, so they just need to be multiplied by an appropriate scaling factor to produce a readout in microns. A good source for the appropriate scaling factor is the fine focus knob of the microscope. This is one of those setups that seems straightforward in theory. 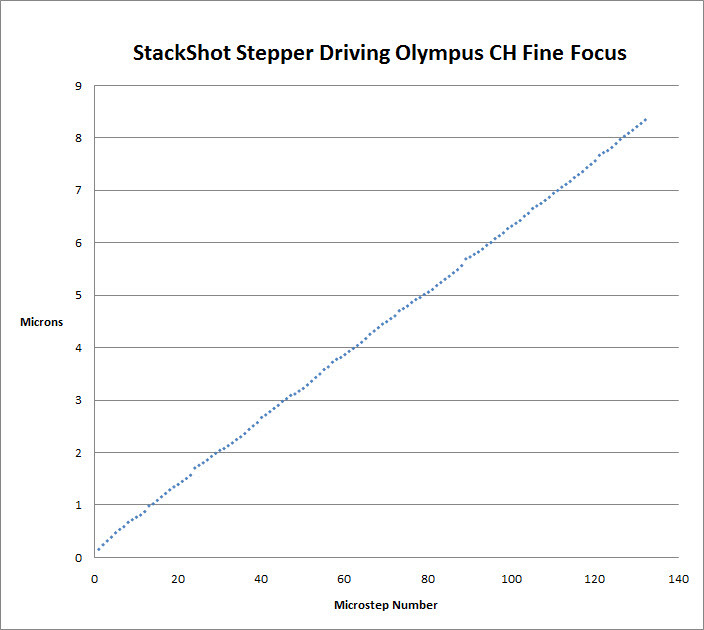 The microscope focus block is 200 microns per rotation, so at 200 full steps per rotation and 16 microsteps per full step, the motor will turn the focus knob at 1/16 micron per microstep. 1/16 micron is a tiny amount, but at 40X magnification, that turns into 2.5 microns on sensor, and for the T1i, that's more than half a pixel. I've previously tested to be sure that the alignment function in Zerene Stacker is accurate to a small fraction of a pixel, so it's tempting to ask "What could possibly go wrong?" But that's in theory, and as we all know, in practice, theory and practice can be quite different. So I'm still trying to get my head wrapped around the idea that this simple process worked so well. I really expected that environmental vibration, if nothing else, would somehow end up producing an ugly cloud of noisy measurements. But that didn't happen -- I've seldom seen cleaner data coming out of a physical experiment. Beginner's luck, maybe. Edit: add link to earlier thread. As a mechanical engineer I know that is nearly impossible to have a lineair system without any backlash at this scale, so I am surprised about the focus block. Why not do the test again while introducing environmental vibration during a part of the stack? Would be very interesting to see the results. There would be a lot of backlash in the focus block*, except for the fact that it is spring- and/or gravity-loaded to keep the gear train constantly meshed in one direction. Focus blocks are designed this way so that users are happy when their hands are on the knobs. It is very frustrating to use a scope when the fine focus is sticky so that there is dead rotation or significant delay when you switch direction. For this particular test, I also took care to have the knob turned in a direction that pushes the stage upward, against the spring/gravity force that is keeping the gear train tightly meshed. That way the movement is caused by the high forces that the gear train can develop, rather than the low forces of spring/gravity. Because it seems a waste of time, and that's a precious resource. I already know from other tests that the results can be made arbitrarily bad by driving the stage in the other direction and not giving it time to settle, or by bumping the device while it is in operation. Comparing different setups for sensitivity to some standardized level of environmental vibration could be interesting as a secondary issue, but I don't see the point in demonstrating yet again that a single device is sensitive to being bumped by some unspecified amount. * Edited to add: quantifying "a lot"... There is approximately 300 microns of free play in the stage position, when it is lifted and released to lower with no movement of the focus knobs. 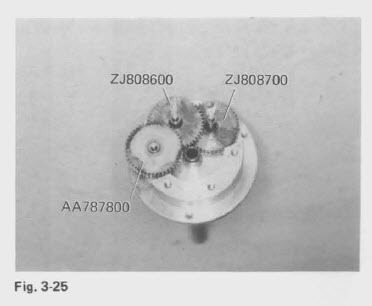 If the gear train were not kept constantly meshed in one direction, that would amount to about 1-1/2 turns of the fine focus knob. The parts in the focus block are spring-loaded, but even then it is a chalenge to have no backlash - again, counted on the micron-level. Both the geared knob and the slide itself must be spring loaded, and parts must be very accurately machined. Thus, these blocks are neat devices. Yes, they are very neat devices. I checked the service manual for this particular block. On quick scan, it appears to be a conceptually straightforward chain of three gears driving a rack and pinion, gravity loaded (no springs) to remove backlash in its normal vertical position. There is adjustable friction on the focus knobs to prevent creeping when they are not being held by something else. Most focus blocks are driven by a coaxial system, either gear or spring loaded friction balls. Last option may be very compact, but may slip. Any chance to mail me a scan of that image of your manual? The full manual can be found HERE (8 MB). Thanks Rik, I'll study those drawings. Does the fine focus knob rotate as you turn the coarse focus knob, and vice versa? When turning the course focus knob both knobs turn. When turning the fine focus knob the course focus knob does not turn. A clarification... When you turn the coarse focus knob, the fine focus knob turns with it as a unit. The fine focus does not turn a lot faster, as it would if they were simply geared together. When you turn the fine focus knob, the coarse focus knob does not move unless you are trying to move past the stop at either end. In that case, the coarse focus knob does move, but in reverse. The behavior suggests that the fine focus mechanism "sits between" the coarse knob and the pinion that actually drives the stage, so that stage position = coarse position plus an offset determined by fine focus. That offset is unlimited however. If you're patient you can use fine focus to drive the full 30 mm travel. Missing from the otherwise very similar BH-2 block, at least in the same way. There are 4 radial holes for a tool which may be for the purpose, I don't know. Chris: just stick and Allen wrench or screwdriver in any one of those holes and rotate that inner ring; that is the tension control. 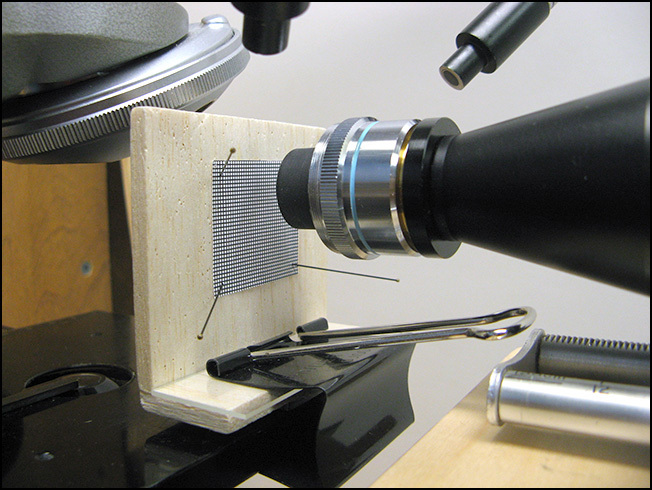 It looks like your microscope stage is moving vertically, but your camera is mounted horizontally. What am I missing? I believe that what you are missing is that this is not a focus stacking setup. Its a distance-measuring setup, which happens to use focus stacking software (or rather, the image alignment part of the focus stacking software).